Exceptional tuba performer Sam Pilafian has died. Pic credit: Sam Pilafian/Facebook. 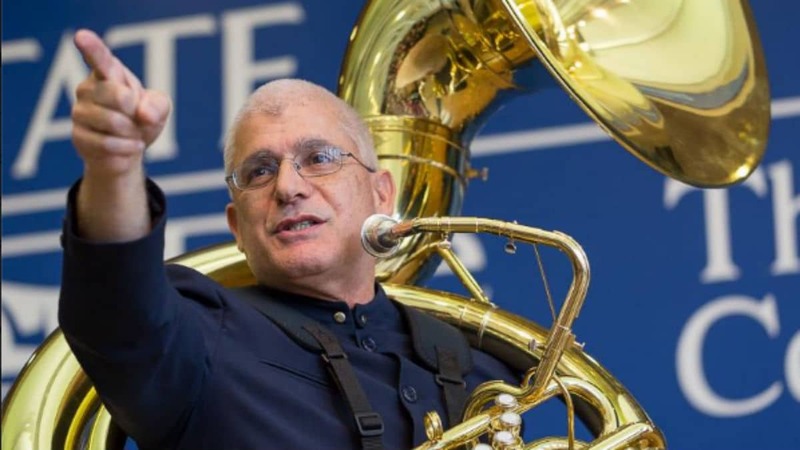 Acclaimed Tuba performer and music educator Sam Pilafian has died. The musical icon, who was also the professor of Tuba at Arizona State University, was reportedly 69 years old when his death was announced. Sam Pilafian is remembered by many of his students and fans. The tuba virtuoso taught at numerous musical programs including Arizona State University, Boston University, and Tanglewood Institute. R.I.P. Sam Pilafian. I'm forever greatful for the knowledge you gave me during a masterclass at Hartt, and for the countless stories and drinks in Hartford with Boston Brass. The brass world just lost an absolute legend. Saddened to hear about Sam Pilafian. He has been a giant in the brass world for my entire life. Grateful for the opportunity to meet him in Tempe. What an impact he made on so many musicians! I learned of #SamPilafian passing just now. He demonstrated some techniques with me at a masterclass about 20 years ago. He was cool, friendly, nice, and a very effective instructor. He was the coolest and tuba playing was fun because of him. Job well done Sam. Pilafian’s cause of death has not been revealed. Sam started his career in the 60s and grew up in Miami, Florida. Pilafian is a founding member of the Empire Brass Quintet and played at the premiere of Leonard Bernstein’s MASS at the opening of the John F. Kennedy Center for the Performing Arts in 1971. According to his Arizona State University biography, he recorded 15 albums as a solo jazz artist and performed Solo recital and concerto performances across Europe, Japan, and Canada. The late tuba performer won numerous competitions during his career including the National Music Camp in Interlochen Michigan. Sam Pilafian earned fellowships Dartmouth College and the Tanglewood Music Center and was awarded the 2009 Emmy Award for best instructional/educational video. Sam Pilafian was the Professor of Music at Arizona State University, after working for over two decades at the music faculties of Boston University.